KIEV, August 28. /TASS/. Ukraine will introduce new traffic police, new district police officers and new special task force, following the launch of new patrol police, Ukrainian Interior Minister Arsen Avakov told a cabinet meeting on Friday. "New traffic patrol police will be formed," the minister said, adding that "the first such police would appear on the Kiev-Zhitomir highway and after that on the Kiev-Lviv and the Kiev-Kharkiv highways." 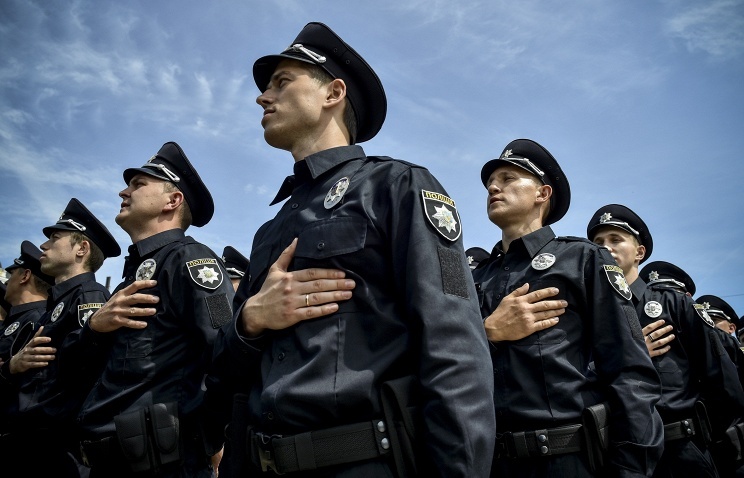 According to Avakov, Ukraine will also introduce new district police officers this year. "Those will be newly-recruited police officers, who will be retrained and who will be in service," he said. "We will see how new modernized police stations work, which will replace old post-Soviet district police departments," the minister said, adding that a single call center would be created as well. He noted that new special task force units were being formed within the Interior Ministry, "beginning with Berkut, Sokol and others." "They will be replaced by the sudden response corps — the special force of the Interior Ministry and riot police, which will be involved in special operations," he said. The first training session of the commandos will begin on September 15 "with the help of our foreign consultants and experts, the first corps will become operational before the end of the year," Avakov said. Ukraine earlier launched the project of the new patrol police. The first police officers appeared in the streets of Kiev, Odessa and Lviv. On September 26 they will begin service in Kharkiv and then gradually across the country.